Mike Young on the Move! 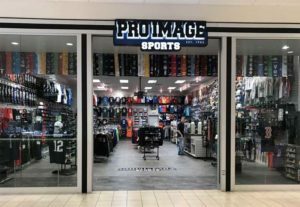 Congratulations to Mike Young, a Pro Image Sports franchise owner since 2010, who recently switched locations inside the Grand Teton Mall in Idaho Falls, Idaho. His new location is close to the mall’s center court, which will give him greater visibility and traffic from shoppers. 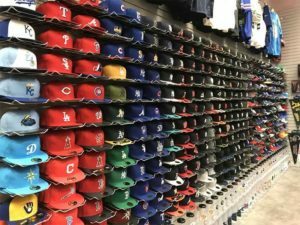 The headache of transition was hard work, as Mike and crew had to fit products from a 3500 square foot location into about 2000 square feet—but they didn’t miss a beat. The crew pulled an all-nighter after the mall closed for business on a Sunday evening, and successfully moved the entire store opening again for business the next morning at 10am. Next → Next post: Sports Licensed Plush!